Christina has over 25 years’ experience in the betting, gaming and gambling industry. Starting out in the pre-dotcom era, she has a career spanning land, internet and mobile, cross all aspects of betting and gaming operations, holding senior roles with some of the world’s best-known brands (such as William Hill and Virgin) and responsible for managing multiple business disciplines, functions and teams across a range of channels, products, customers, and jurisdictions, including regulatory compliance and money laundering. I’m not sure anyone wakes up one morning and says I want to work in betting and gaming, so like most people I fell into it by chance. In my case it started as a part-time job in customer support whilst I was at university. The attraction of being in an environment that was, and still is, pretty unique and exciting and always looking to push the boundaries, where hard work is recognised and rewarded, and which was willing to pay me to do something I did in my spare time anyway, watching sport, meant I never left and never looked back. I got to where I am by literally just working my way up, learning from the ground up. I feel very privileged to be able to say that I am probably one of the few people around who has been lucky enough to have experience of working in every single aspect of the industry – product, channel, disciple and at all levels. I’ve enjoyed and learnt from every role – but trading and front-line operations remain my first love. A few years ago, I came to a crossroads – either work for someone else or put my money where my mouth was and go it alone – being a punter I went for the latter. It’s been an incredible experience allowing me to not only carry on doing the things I enjoy, such as working with start-ups and helping to re-engineer existing businesses, but also explore new areas such as blockchain, esports and blended and mixed reality, work with regulators to build and develop laws and regulations, and spend more time on things that really matter to me such as player protection and responsibility and keeping crime out of gambling. That’s a big question – and I think the answer is it depends on where you are in the world. For example, western Europe after a decade of deregulation and liberalisation appears to be closing in with regulators taking a more stringent approach and public opinion and support for the industry waning. Australia too has taken steps to reign in operators. The US on the other hand is starting to open up to sports betting and can expect a gold-rush in the coming years, not least that some of the world’s biggest sports leagues and entertainment brands are key stakeholders in this brave new world. Elsewhere, in emerging economies such as Africa, India and China and the southern Americas I suspect we will see a mixed bag of regulation and prohibition driven by political mood and economic wins via gambling tax. In terms of products. Sports betting will continue as it always has – a little more innovation and perhaps a bit more social as VR develops; esports will be interesting with many regulators looking at restricting it due to its huge appeal to children – as players and spectators; casino and slots will have to look to skill to continue to engage with the next generation of players. I think we will still be playing, it will just be in a slightly different way. Its 2018. In less than two years the millennials and i-generation will be 50% of the workforce. For this generation diversity, equality and inclusion are an expectation not an aspiration. Investor, employee and consumer choices will be driven by how a company or sector is perceived. We’ve already struggled with the millennials as customers, if we don’t get our act together and fast, then the next few years will see us struggling to attract and retain the next generation of investors and employees which in turn will impact on our ability to build the products that engage the next generation of customers. Our future depends on how the world perceives us. It’s time to throw away the body paint, feathers and thongs and show the world what the industry is really like – fun, dynamic, engaging but above all respectful and egalitarian. That’s a tough one. I got some really good advice from others when I was younger which I took and would most likely pass on. Don’t try and be someone you’re not. When you see or meet someone you admire, look at what they do well and adapt it to suit you, but also look at what they do that you don’t like so much and don’t do that. You also need to enjoy what you do with people you like. 8 hours a day is a long time doing something you don’t like with people you’d rather avoid. If you are finding that you don’t like 80% of your job or the people around, you then find something else – you won’t be happy, and you won’t learn or thrive. Don’t ever think you are too good or know everything. Boss or not, I’ve never been too proud to jump on the CS lines and help the team out when they needed it or ask tech to explain something to me in baby language. Recognise the work that people around you do and don’t take credit for something someone else did. Don’t be scared to try new things, and don’t get too hung up on mistakes – the ones I’ve made have been some of the very best learning experiences. Most of all be true to yourself – and treat everyone else the same way you would want to be treated, whether it’s the cleaner or the CEO. Eventus: What do you think is the most significant barrier for women in the industry, today? What can be done to promote more women and their better reception in the gaming industry? It would be easy to say men are the most significant barrier but I’m not sure that would be fair. Certainly, those that believe that women still have a place to play as decorative ornaments in work related environments do nothing to help, but it’s not that simple. There are plenty of men in the industry who understand that talent and skill is not defined by gender. The recent research by the All-In Diversity Project also shows that getting women into the industry is not the problem – the numbers of men v women up to Manager level are pretty equal. Where it changes is Manager level onwards, where the numbers of women start to drop away. We need to understand why this is. Is it lifestyle or career choices such as motherhood or moving to an industry which is not 24/7? Could it be competitive threat – a phenomenon where women who have made it are resistant to promoting others as they see them as direct competition, and which quite a few younger and prettier women seem to be encountering. Or is it bias (conscious or otherwise)? Change requires us to understand what the real challenges and problems are and then work together to overcome them. It means championing skill and talent and not the packaging it comes in. That’s what the All-In Diversity Project is all about. We’ve already got some of the world’s biggest companies working with us and would activity encourage anyone and any company, business or regulator that believes in equality of opportunity for all (irrespective of gender, race, sexuality disability or any other tag) to join us. For more information just go to https.allindiversityproject.com. I think it’s an event which has allowed India to start exploring what the world of betting and gambling could be, not just the challenges, but also the sheer scale of opportunity both commercially, politically and economically. The underground betting industry is huge, and a failure to tackle those issues linked to illegal gambling such as criminality, problem gambling, loan-sharks match-fixing could cause irreparable harm to not just India’s biggest brand, the IPL but also the fabric of society. It is important that those in power understand the implications and the opportunities and SPICE provides a platform a safe space for a grown-up constructive conversation away from the hype and the rhetoric. As with the other Eventus conferences in new and emerging markets it is an opportunity to gain an early insight into a new market which has the potential to be one of the biggest in the world. It’s a chance to get to know the key players, understand the challenges and risks and experience first hard exactly what India could be with the application of good regulation. India has the world’s fastest growing economy and is now considered by many to be the world’s leading tech hub for innovation in areas such as AI. What would be really interesting and exciting to explore is the part that a regulated Indian gambling market combined with growing tech prowess could play in the next generation of global gaming products and services. There’s so much to talk about – can’t wait. 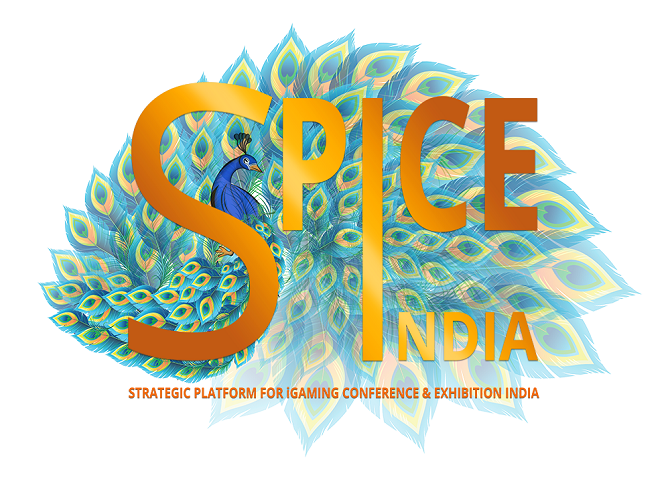 Christina Thakor-Rankin looks forward to meeting you in person at SPiCE 2019 in Goa. Gioco News is media partner.